Bollywood superstar Akshay Kumar, who is on a golden run in his film career, turned 50 on Saturday, and treated his fans to a poster of his upcoming film "Gold" on the occasion. "Every cloud has a silver lining but with your love, my clouds got a lining of gold. As my age turns gold, here's the poster of a film close to my heart," Akshay shared on Twitter along with the poster. 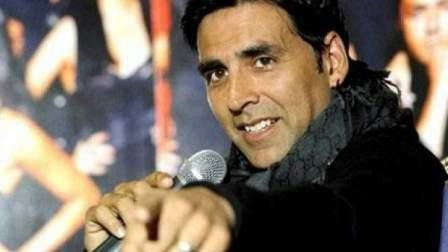 Before launching the poster, Bollywood's Khiladi posted, "2,62,80,000 Minutes, 4,38,000 Hours, 18,250 Days, 2,607 Weeks, 600 Months, 5 decades," marking the time since his birth. "Gold", backed by Excel Entertainment and directed by Reema Kagti, is about India's first Olympic medal win as a free nation in the year 1948 at the 14th Olympic Games at London. It will release on Independence Day, 2018. In sync with the theme, the poster features Akshay's side profile caught in a golden circle. It is superimposed on the iconic Olympic rings and "XIV Olympiad London 1948". The tagline reads: "The Dream That United A Nation", and behind the film's title is a sprawling stadium. "Gold" marks the first association between Akshay and Excel Entertainment led by Ritesh Sidhwani and Farhan Akhtar. It will also introduce actress Mouni Roy into Bollywood.